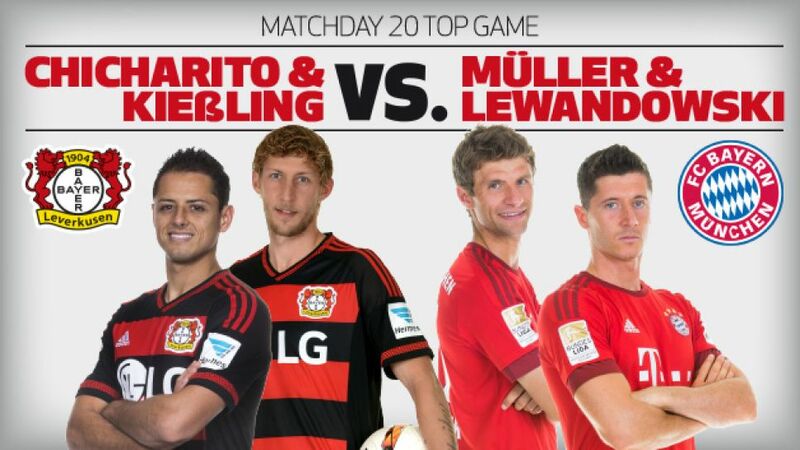 Two of the Bundesliga's most in-form strike duos go face to face at the BayArena on Matchday 20 as Bayer 04 Leverkusen entertain FC Bayern München. Leverkusen's Javier 'Chicharito' Hernandez and Stefan Kießling both got on the scoresheet in the 3-0 victory over Hannover 96 on Matchday 19, while Bayern duo Robert Lewandowski and Thomas Müller are the most prolific pair at this stage of a campaign in Bundesliga history. Ahead of Saturday's highly-anticipated encounter, bundesliga.com takes a closer look at each player's contribution to their respective team's efforts this season.